Dr. Vincent Murray admitted he sometimes relaxes by playing video games. When Dr. Thomas Adger, Grady’s principal for 19 years, quietly slipped away from Grady, Dr. Vincent Murray almost as silently slipped into his place. “So which one is Dr. Murray?” Many students are still having trouble recognizing him, while few are confident enough to approach him by name. But Dr. Murray’s plan is to meet students on a more intimate basis than in school assemblies. While he has not yet had many chances to address the student body as a whole, he has been trying to attend as many small group meetings as possible. “I have already been to a few Key Club meetings, and they have been good experiences. I feel a king of involvement where [myself and the students] feel no pressure [as in large assemblies],” Dr. Murray said. Grady is the first high school for which Dr. Murray has worked, and he is enjoying the new atmosphere. He has worked at a college and two elementary schools, so now he is trying the in-between. Dr. Murray attended Morehouse College in Atlanta, double majoring in history and English. He planned to attend law school; however, while working at UGA on a behavior modification project, he developed a deep interest in psychology. “I got interested in psychology, so I went back to school at Boston University to major in it. I did work with mental health patients for a while and then Morehouse called me to come back and teach for them,” Dr. Murray said. He taught psychology for seven years and was Director of Counseling at Morehouse. “I think this really prepared me for working at Grady because I was dealing with a lot of college freshman, who are about high school age,” Dr. Murray said. In 1983, he came to the Atlanta Public Schools system to teach at Grove Park Elementary. From there he became principal at Herndon Elementary, and then principal of Grady. “High school has a lot of advantages compared to college and elementary school. I like high school and college-aged students, but at colleges you are on a much less personal level. Here I can really interact with students. [High school] is also better than elementary school because I don’t have to talk baby talk with most of you,” Dr. Murray said with a laugh. Outside of school, Dr. Murray likes to include students in his social life. “At my old school [Herndon], I used to get together with students and go to the park to shoot off rockets. They liked it, and I was able to teach them about science at the same time, plus get to know them better,” Dr. Murray said. 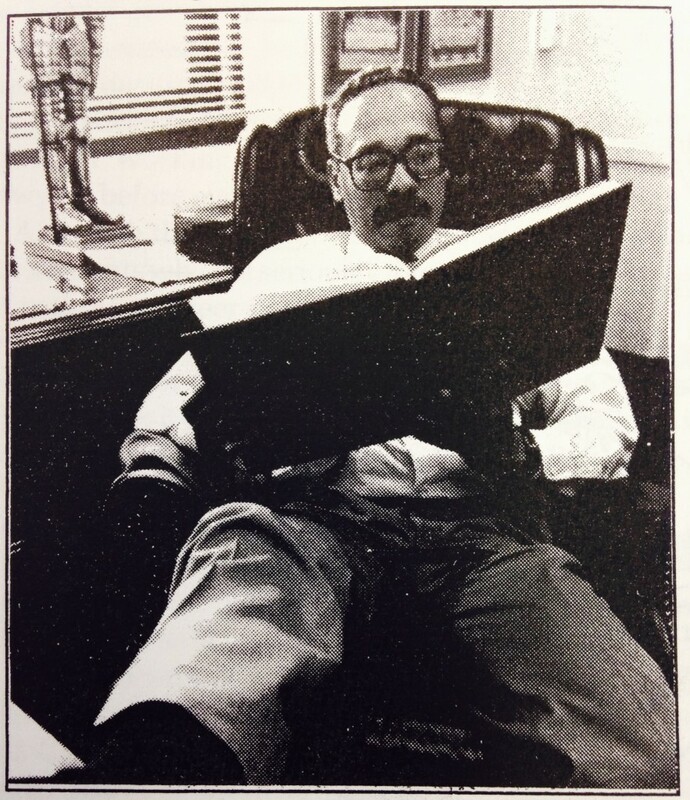 Dr. Murray also spends a great deal of times with books. “I read a lot. I usually don’t believe a lot of what I hear, so I like to read it somewhere. I research to relate to what I think I need to know. For instance, if I visit a science class and I don’t recognize what they are studying, I go home and look it up to refresh my memory,” Dr. Murray said.